Time to sell your Gulf Tower condo? Read about today's resort-market condo buyer. 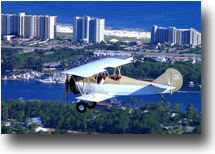 Gulf Tower condominium complex is located approximately one mile and a half west of Highway 59 in Gulf Shores, Alabama. It was one of the very first high-rise condominium projects with 14 stories. This 49-unit, Gulf-front complex was built in 1984. Each of these two-bedroom, two-bathroom units offer a large open floor plan (1,000 square feet), and owners/guests can enjoy beautiful unobstructed views of the Gulf of Mexico and pristine sugar-white sand beaches from their Gulf-front balcony. Each balcony is tiled and offers sliding glass doors on the exterior in case of a rainy day. 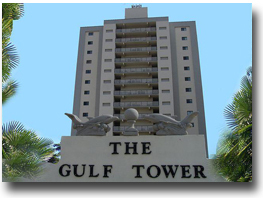 Gulf Tower offers many nice features to its owners/guests. The large outdoor pool and sundeck is perfect for the sunbathers. The complex offers several BBQ grills, a gazebo, and covered parking for owners only. The complex also allows pets for its owners. Please let us know if you would like further info for Gulf Tower or any other condos, homes, or real estate along the Gulf Coast or would like to schedule a private viewing by emailing info@condoinvestment.com or by calling (251) Area-Pro (251-273-2776) for immediate assistance. RENTAL TIPS to increase your Gulf Tower rental revenue. 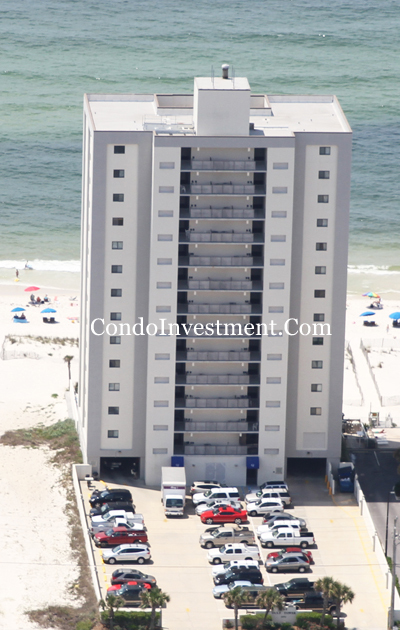 Find annual rental revenue info for Gulf Tower and all other Gulf Shores condos. 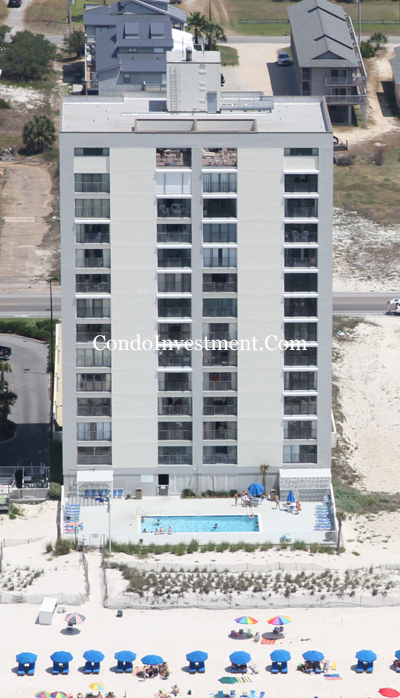 Click here for aerial photos of the Gulf Tower condominium in Gulf Shores, AL.